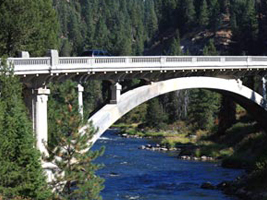 District 3 covers just under 22,000 square miles of southwest Idaho and maintains 2,647 lane miles and 399 bridges. District 3 encompasses the 10 southwest counties, the most roads and bridges of all the districts, and nearly 40 percent of the state’s population. District headquarters is in Boise located in Ada County, where Amy Revis is district (head) engineer. Julie DeLorenzo, of Boise, has represented District 3 on the Idaho Transportation Board since March 2012. 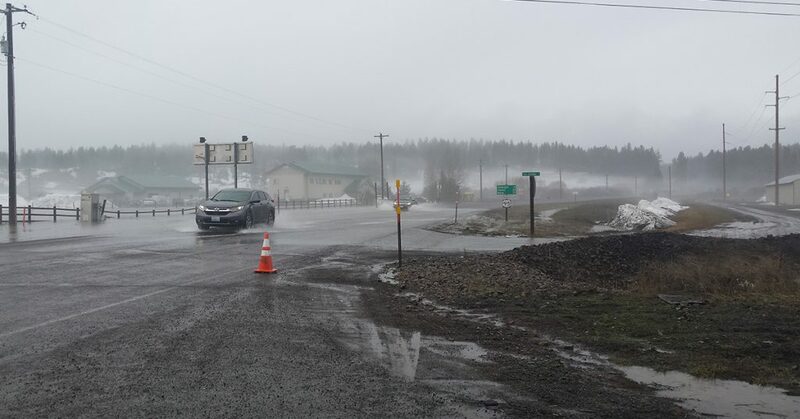 Flooding from spring runoff is causing water to run or pool on top of U.S Highway 95 and Idaho Highway 55 throughout the Central Mountains. Check out the virtual public meeting at https://bit.ly/2BCNCzx. 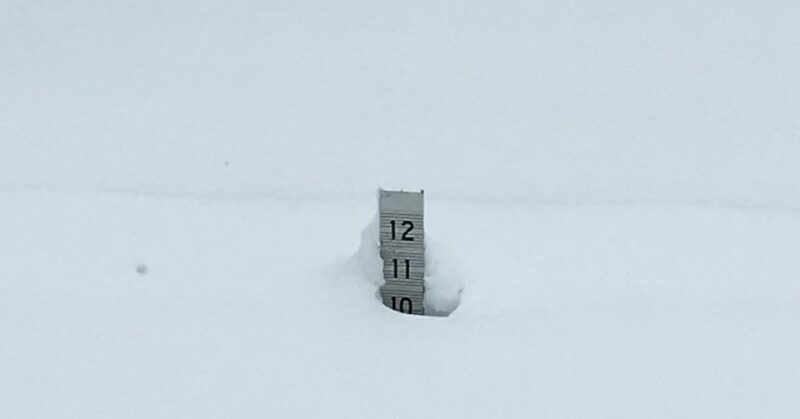 Comments close March 3. 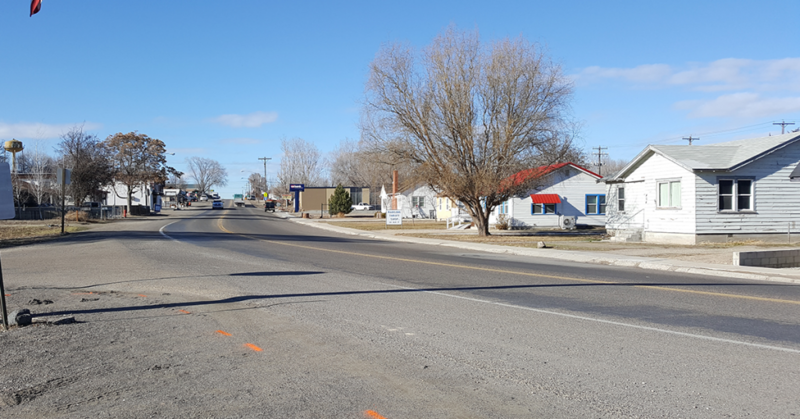 Construction of improvements to Idaho Highway 55 through downtown Marsing has begun. The purpose of the U.S. 20/26 Corridor Study is to develop a medium range (through 2020) plan that identifies current and future highway needs for more than 14 miles of U.S. 20/26 running from I-84 near Caldwell west to Nyssa, Oregon and the Snake River. The highway overlaps U.S. 95 for eight miles from east of Parma to Anderson Corner Road – the corridor study for that section is addressed in the ongoing U.S. 95 Corridor Study. The Corridor Study is being done to comply with Idaho Transportation Department Board policy, which is also consistent with federal planning guidance. 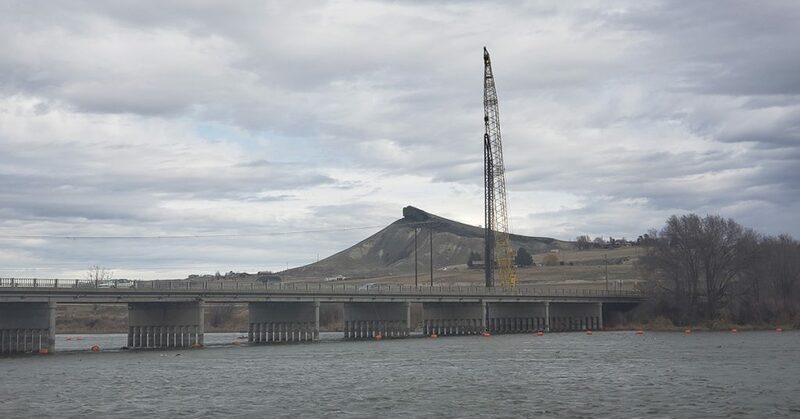 The study and subsequent adopted plan will be used to chart U.S. 20/26 road improvements from I-84 to the state line in the Statewide Transportation Improvement Program (STIP). A 10-year plan for the corridor. 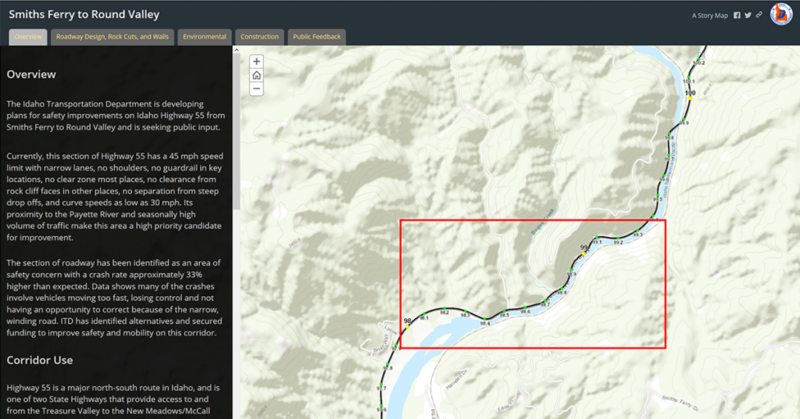 Identification of existing and projected environmental, roadway, and land use conditions. Analysis of future travel demand and performance in the corridor. Analysis of accidents and recommendation of safety features including access management. Sample urban and rural cross-sections of the highway will be illustrated. Any projected capacity improvements that require a cross-section different from the current samples will also be illustrated. 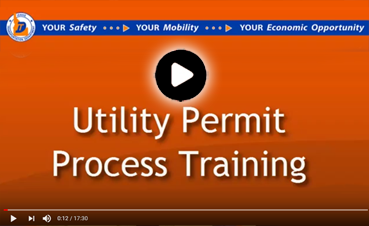 The National Environmental Policy Act (NEPA) requires that an environmental review be completed before right-of-way can be acquired with federal funds. The U.S. 20/26 Corridor Study is not programmed to recommend or fund purchase of right-of-way. Therefore, ITD will not complete a NEPA-level environmental review. However, an Environmental Scan will be conducted to provide a baseline survey which includes a qualitative analysis of the current human environment. The human environment includes aspects of the natural environment, built environment, and human health. Constraints that may have a limiting factor in roadway width and placement of the highway section will also be identified. U.S. 20/26 is a major farm-to-market road serving agriculture and quarrying industries in western Canyon County. 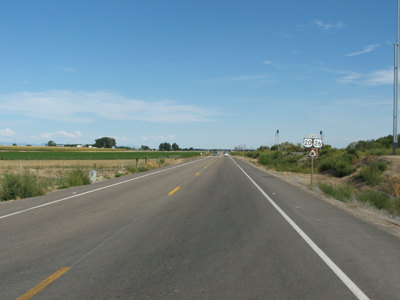 Cross-state access is directly provided to Nyssa and connecting access is provided via Highway 18 to Adrian, Oregon. The majority of the highway is two-lane rural with a 65 mph speed limit. 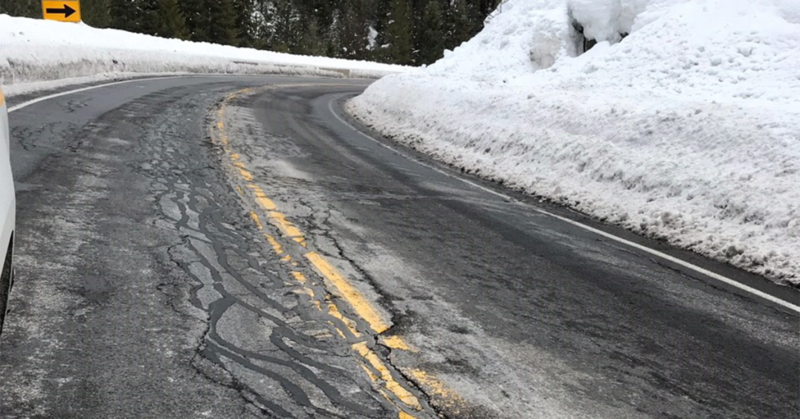 The Idaho Transportation Department (ITD) is studying U.S. 95 from the Idaho border in Owyhee County to Pinehurst at the Adams / Idaho County line. The study will result in a corridor plan that identifies important improvement projects over the next 20 years. U.S. 95 runs north to south through western Idaho. It provides an important north-south international transportation link for long-haul freight between Mexico and Canada. 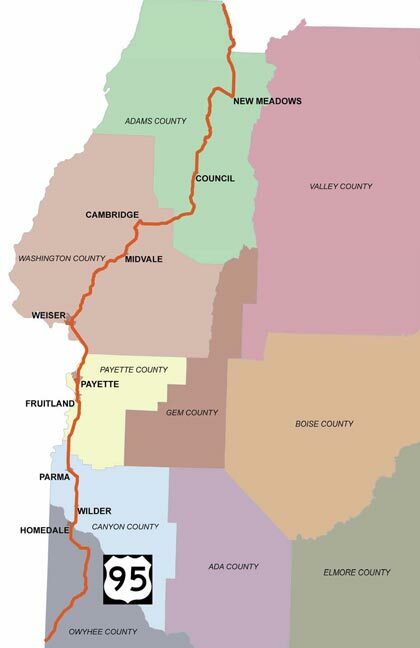 Within the Idaho Transportation Department’s District 3 boundaries, the highway covers 203 miles from Pinehurst in Adams County to the Oregon stateline south of Marsing in Owyhee County. 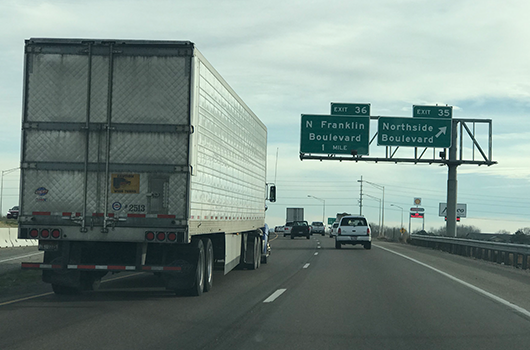 Recreational travelers and local traffic share the road with long-haul trucks, straining the roadway capacity as surface transportation demand continues to grow. The completed corridor plan will include an analysis of the existing conditions on the highway; a forecast of future demand over the next 20 years; and a list of short and long-term improvements on how to improve transportation on this section of U.S. 95. The document will address the course of the highway as a whole and on a county by county basis. The plan will be based on community input, engineering analysis, and city, county and agency visions for the future. ITD will include the plan in its Idaho Horizons Long Range Capital Improvement and Preservation Program (LRCIP). LRCIP is a planning document that helps ITD prioritize projects for future years. Safety: What are the improvements that will make U.S. 95 safer for motorists, pedestrians and residents? Access Management: How can ITD and local communities manage the effect of development along the corridor so the roadway continues to function safely and efficiently? Traffic: Can we anticipate congestion points and plan for the best ways to improve traffic flow and capacity throughout the corridor? Environment: What are the important environmental issues to consider when ITD seeks to make improvement to U.S. 95 in the future? The U.S. 95 Corridor Study began in 2007 and is expected to be completed in 2016. ITD encourages you to submit comments at any time during the study process. Written comments may be e-mailed to adam.rush@itd.idaho.gov or mailed to: Idaho Transportation Department, P.O. Box 7129 in Boise, ID 83707-1129. Those with questions about the corridor study can send an e-mail to Adam Rush or call him at (208) 334-8119. 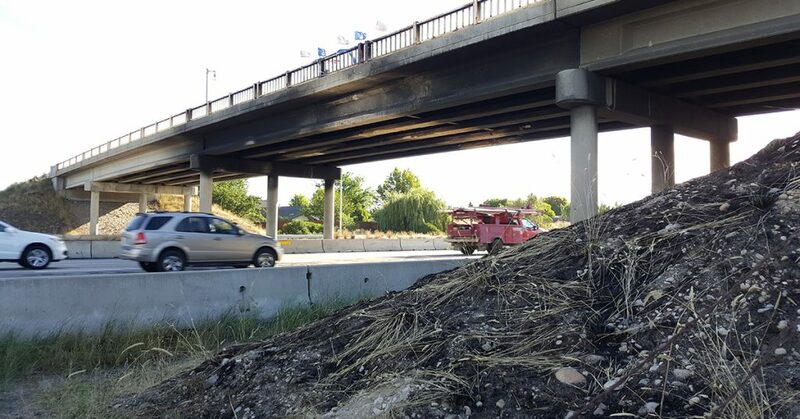 The Idaho Transportation Department (ITD) is studying long-term improvements to Idaho 44 from West State Street in Eagle to Interstate 84 in Caldwell. A corridor plan with recommended transportation improvements and the needed right-of-way (land) to support these improvements between now and 2045. A Federal Highway Administration (FHWA) Environmental Assessment that outlines how the improvements would impact the environment (i.e., noise, air quality, historic properties, etc.) and how ITD will address the impacts. A project phasing plan that identifies and prioritizes individual projects for future funding. The FHWA Environmental Assessment (EA) for this project includes several technical studies that address traffic, access management, drainage, noise, air quality, public involvement and other factors. The EA must be approved by the Federal Highway Administration prior to final design and construction. A public hearing will be held in 2019 before the EA is submitted to FHWA. Idaho 44 is the only east-west highway that links Canyon County to Ada County north of the Boise River. As growth and development have increased, ITD is taking a comprehensive approach to address travel time, capacity and safety along this corridor. Early planning efforts for ID-44 began in 2004 and resulted in a preferred alignment for approximately 16 miles of the corridor. A preferred alignment identifies locations for widening or realigning the roadway in future years. The ID-44 public outreach was a significant component of this early planning process. ITD’s goal is to complete the ID-44 corridor study in 2019 and immediately begin moving forward with improvements. Public meetings will be scheduled in Ada and Canyon counties later this year. Questions or comments about the ID-44 corridor study may be directed to Mark Wasdahl, ITD Project Manager, at mark.wasdahl@itd.idaho.gov or (208) 334-8344. The Idaho Transportation Department (ITD) is studying Idaho 55 to identify current and future needs throughout the corridor. The study will result in three corridor plans (North, Central, South) that identifies policies and projects important to the development of this major arterial over the next 20 years. To join the project mailing list contact the Idaho Transportation Department Public Involvement Coordinator at P.O. Box 7129, Boise, ID 83707 or emailed to adam.rush@itd.idaho.gov. ITD hosted public meetings in Cascade, McCall and New Meadows in January 2016. The Idaho 55 highway corridor originates 1.7 miles south of Marsing in Owyhee County at the Idaho/Oregon/Nevada junction with U.S. 95 and serves six counties, ending at the junction of U.S. 95 in New Meadows. Most travelers know the highway for its turns along mountain forests, whitewater rapids and favorite recreation spots. The corridor is an important route that supports the regional daily commute, the long-haul trucking industry and recreational traffic. Those with questions about the corridor study can send an e-mail to adam.rush@itd.idaho.gov or call Adam Rush at (208) 334-8119. Preservation work on the Emerald Street overpass of I-184 (the Connector) between Cole Road and Curtis Road. Improvements will protect and preserve pavement life. Widening, reconstruction, and drainage improvements were made at the intersection of Beacon Light Rd and ID-16, new traffic signal installation. Resurfaced ID-69 (Meridian Road) from Orchard Road in Kuna to Overland Road in Meridian. Added traffic signals at Hubbard Road and Lake Hazel Road. Installed a median barrier between Calderwood Drive and Overland Road. Reconfigured lanes at the intersection of Meridian and Overland roads. Northbound Meridian Road includes three through lanes, a dedicated left-turn lane and a dedicated right-turn lane at the intersection. Old, deteriorated pavement was milled down and replaced with fresh asphalt. Contractor & Cost: Central Paving, $3.2 million. Project is jointly funded by the city of Nampa and ITD. Elimination of exit 33b and adding lanes at exit 33A/Midland Blvd. Add a second left turn lane from Karcher Bypass to southbound Midland Blvd. Contractor & Cost: $3.8 million. Pavement rehabilitation & upgrades to ADA ramps from Northside to Grant Ave. Contractor & Cost: Knife River, $10.5 million. Installed overhead and pavement markings to improve on-road communication. Provided through lanes east and westbound and a left center turn lane for eastbound traffic turning onto Farmway Rd. Removed clay material beneath road that is causing major pavement swelling. Work reconstructed the road for a long-term fix to swelling issues. Asphalt was milled and reconstructed for a smooth surface. Turn lanes and slow vehicle lanes were added in select locations to improve safety and mobility. The project had two phases. First, the old road was ground and re-laid. Then a seal coat was applied to both this section as well as 2 miles of ID-72 beginning at the Junction of US-30 and extending east. Several sections of guardrail on US-30 was replaced. Removed and replaced the existing railroad bridge over SH-52 bridge that did not meet current requirements. This project reestablished the riding surface and preserved the structural capacity of the existing roadway. It also increased driver safety by updating some of the guardrail.